Personally, I have always found it hard to believe that “everything happens for a reason,” and that our lives are pre-ordained. There’s a randomness to the universe that I just can’t ignore, and more loss, violence and cruelty than I could ever attribute to a loving God. But what I do believe is that even the darkest of times can bring gifts if we just allow ourselves to look for them. I was sick last week, which meant I had to miss a fun social event and was also not able to do my usual shifts down at the Humane Society. I was very disappointed to miss the special luncheon, and also worried that, without my help, not all the shelter dogs would get walked. But several of the other volunteers went out of their way to tell me that I should stay home until I was well, and assured me that they would stay at the shelter until all the dogs were taken care of, no matter what. I was surprised and touched by this show of support, and my illness was the reason I got to see just how wonderful these friends really are. My mother-in-law suffered a series of strokes and spent the last couple years of her life wheelchair-bound in a nursing home, which I thought was a horrible thing for a woman who had always been so vibrant and active. But every day that she was there, my father-in-law made the fifteen mile trip over country roads to visit her, missing only if he was sick or the roads were not safe. He spent hours by her side, talking to her (even though she couldn’t always answer him), chatting to the staff, and generally making sure she was well cared for. My father-in-law had not been a man who showed his emotions easily, so seeing his obvious devotion to his wife was a gift that I will always treasure. And I wouldn’t have seen it so clearly if she hadn’t spent her last years in a care home. Our dog Sandy’s fatal heart episodes started the night before my husband and I were scheduled to go on a long weekend trip to Charleston. We were all packed, airline tickets bought, hotel reservations paid for in advance, and we scrambled to cancel it all last minute. At first it seemed like bad timing, but we soon realized how much worse it would have been if Sandy’s heart had started failing after we were already in Charleston. There’s no way we would have made it home in time, and I am so glad that we were there to take her on that sad, final trip to the vet. She needed us, not our dog sitter, to be with her at the end. In the same way, any disappointment and pain I’ve endured in life have made me much more compassionate towards other people when they are suffering. Because I know what it’s like to worry about paying the bills, I’m more generous to others who are struggling financially. I know what it’s like to lose a loved one, to feel rejected by a good friend, to have career hopes dashed. And while I wouldn’t have chosen to experience any of that, the fact that I have makes me a more sympathetic person than I would otherwise be, and that’s a good thing. I may not like it when bad stuff happens to me, or anyone else for that matter, but I have learned to realize that that I can use the bad times to learn and grow. I have come to believe there is always some good in almost every situation; I just have to remember to look for it. ← When Did Everyone Become So Young? Thank you Ragan! I try to be as honest as I can in the blog. Miss you! Hi Ann…haven’t heard from you in a short while. Hope all else is okay. Yes it is from the good AND the bad that we grow and learn…a beautiful dog! Thank you! All is well. 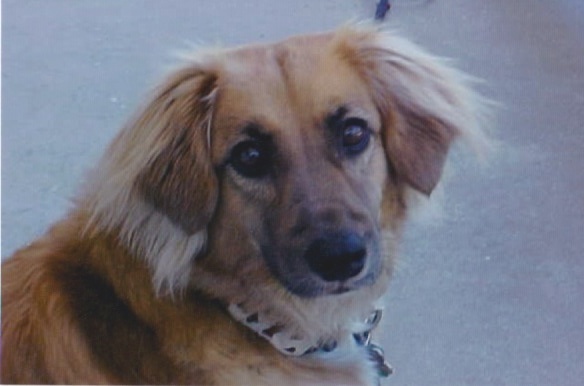 And yes, Sandy was a beautiful dog! Sometimes it is so hard to remember that without the mud, there can be no Lotus. Beautiful post! The hard times only make the good times that much better.